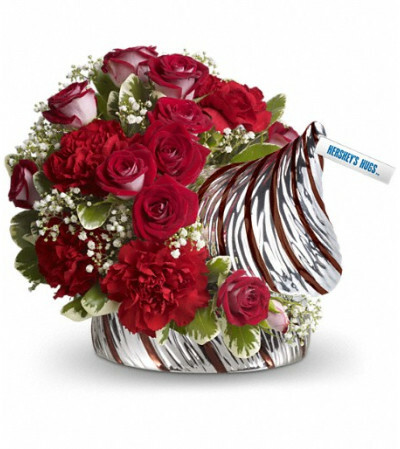 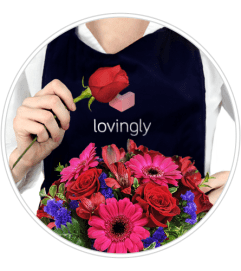 Show your love for family, friends and all your Valentines with cheerful flowers in a charming lidded dish that looks like a Hershey's Hugs™ candy. 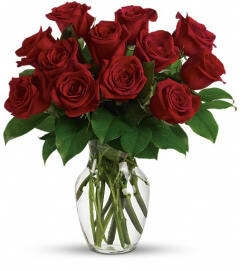 It will be a sweet reminder of your thoughtfulness for years to come. 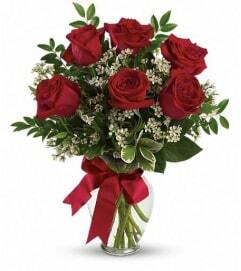 The charming bouquet includes red spray roses, red carnations and gypsophila accented with assorted greenery. Delivered in lidded ceramic dish in the shape of a Hershey's Hugs candy.